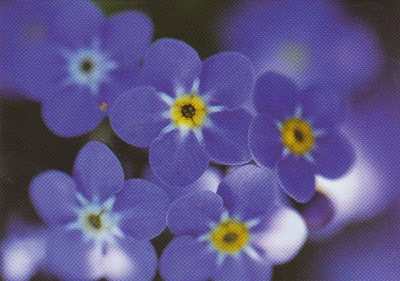 An Alzheimer's Society postcard ... "One in three people over 65 will die with dementia. Your donation to Alzheimer's Society will help us raise money to care for people today and to find a cure for tomorrow." Alzheimers is a brain disease that has made you forget who we are but we won't forget who you are.